Zombie Math Teacher: No David! You don't know how to do FOIL!!! 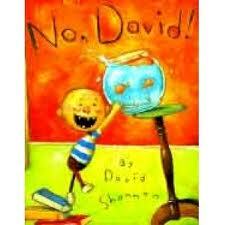 No David! 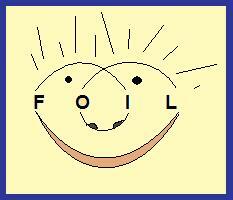 You don't know how to do FOIL!!! Happy Friday the 13th everyone! We survived! 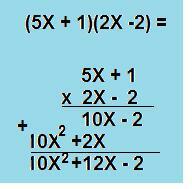 My accelerated class is neck-deep of a unit on exponents, quadratics and factoring. We were working our way through binomial multiplication strategies when I noticed some girls in the back of the room making a really cute cartoon out of the word "FOIL", which stands for "First x First, Outside x Outside, Inside x Inside, Last x Last" terms. I blurted out, "that looks like David from the kids book! ", and ever since, we have been drawing silly faces around all of our quadratic equations. If you are unfortunate enough to have never read the children's book, please click the picture to go to the link. My 2- and 4-year old love it. And so do my 12- and 13-year old students ;). So you may be asking yourself, what does this have to do with math? You already knew the Zombie was crazy, but really?!? 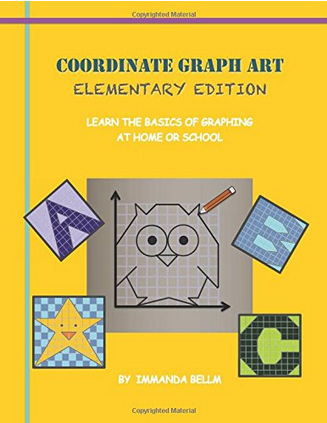 Toddler books in a middle school math class? But it does serve a function. And I'm hoping that I'll get some takers on our next math menu. So here it is! My lovely cartoon version of David, who may be very young, but apparently has mastered the art of polynomial arithmetic. I made a sample page, in which, instead of drawing Tic-Tac-Toe on the wall, David was incorrectly expanding a trinomial x trinomial multiplication problem. We got a good laugh in class picturing an uptight mother, getting extremely angry with her 4-yr-old child, for not knowing that X^2 x X^3 = X^5. My Tic-Tac-Toe page has the same error demonstrated multiple times, with Mommy correcting him as to the correct rule. I thought this might be a creative way to tie in irony, humor and interdisciplinary concepts by allowing students to create a children's book with "what not to do" in regards to polynomials, as No David does for children's behavior. Only time will tell if any of my students choose this assignment on their next math menu. So what exactly is this next math menu? Well, it's a list of choice homework assignments, mostly taken from my favorite resources (McDougal Middle School Math Course 3, and Kuta Software.com). 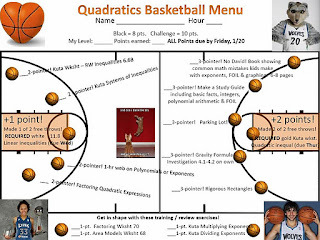 While there are two required inequality homeworks in the "free-throw" locations, the choice assignments covering the rest of the "court" allow me to differentiate between prior knowledge, interest and learning styles. 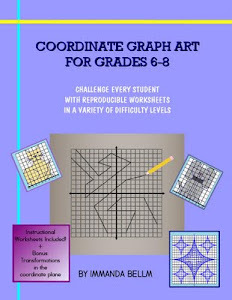 G/T and highly motivated students often pre-test in the "challenge" level, (90% or higher); and rather than setting them loose in the back of the room to "work independently on their own", I give them structured projects, individual compacting and instruction, and the creativity to direct their own learning. Don't get me wrong... this is EXTREMELY time-consuming. But the end results lead to much higher retention; based on levels of engagement, and dedication to completing the required amount, or more, than is assigned. I regularly have 10-15% of my high-achievers at 100+% in my class because of the extra work they choose to do. While some teachers my argue with me about the ridiculousness of this grading technique, my response is that those kids would have an A anyway, and I'd rather have some way to continue to see growth past the 100% of assigned, to document how much extra they did in fact learn. My last blog post had a link to Alfie Kohn about the negative effects of standardized tests, I would bet a lot of money that he would personally hate the idea of rewarding students for work they'd do anyway for nothing. But sad to say, when you are a teenager in sports and music programs and church and multiple advanced classes at school, there needs to be some metaphorical carrot to justify losing sleep to write a math children's book. Which leads me back to the point... why doesn't David know how to do FOIL? Maybe because he had an old-school teacher who only taught him the traditional way. I am passionately AGAINST the one-way method of teaching math. That is one of the few things I stand for. Having given my students personality inventories, learning style inventories, and information processing inventories, I have enough data to know that nearly 60% of my 7th graders have Kinesthetic learning preferences. 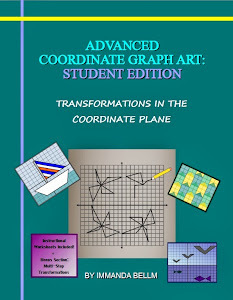 An additional 50%, including 20-30% overlap, consists of students processes information better with pictures. And only 10-20% of them are auditory learners who process by listening to the teacher give a traditional lecture. So while it takes longer, I try to teach 2-3 different ways to solve each problem. And I encourage students to share their strategies in class, so that their class mates can benefit from their own creativity; using strategies I could never imagine, having come from a different generation and tech-free culture. I am also not afraid to borrow free materials I find on the internet, such as McDougal's fantastic Course 3 lessons on investigation 13.4. If you are going to click the link, go to "Lesson 4, Examples 1-4" to see why I LOVE MCDOUGAL!!! There are FOUR... count 'em, 1-2-3-FOUR! 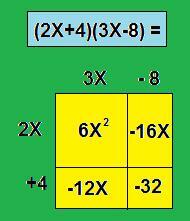 strategies for multiplying binomials provided. And it's FREE. You do NOT have to have a password to use ANY of their online resources, Powerpoints, online worksheets, animated math resources, or tutoring videos. HIGHLY HIGHLY recommended. Method 1: The area model. Treat each part of the binomial as a wall in the house, and then multiply the "length" and "width" of each room to obtain the resulting trinomial. By using this model, students can connect prior knowledge of length x width to find the area of each room, and then they intuitively know that the sum of the area of all the rooms is the total area needed to simplify the polynomil. In this sense, they see much easier that -16X + -12X equals -28X, leaving much less chance of arriving at an answer of -4 somehow. The other "rooms" in the polynomial "house" have no like terms, so they can simply be rewritten. Thus the answer is 6X squared, plus -28X, plus -32. Method 2: The Vertical Model! This was a major "duh" when I saw it, but no one ever bothered to teach me this strategy way back when. I think I like it nearly better than FOIL. As seen by the model here, each binomial is set up like a two-digit number that needs to be multiplied. The same concepts apply, except there are no situations in which you would "carry" over terms from the previous ones, since they have different exponents. Multiply -2 by both of the top numbers, place underneath. Then use the Distributive property and multiple 2X by both top numbers, leaving a "ones place" that will not be used, because the 2X is the second term. Then your bX form terms will line up on top of each-other and help to avoid confusion. Viola! Perfect trinomial. Method 3: The Picture Frame Method: Using Distributive Property Twice, drawing a picture frame first, and using the frame space to find the polynomial components. This is my least favorite, but I give a few examples anyway because you never know who will prefer which method. The Picture Frame model states that (A+B)(C+D) = AC+BC+AD+BD. BUT, it can also be written as A(C+D) + B(C+D). And this is how the picture frame works. The constant term of each binomial becomes the "width" of the picture frame. And the "A" and "B" values in the binomial, become the "picture" in the frame. Method 4: Traditional FOIL. Still the favorite of about 60% of the students. But those who struggle, have a much easier time of getting past their errors, if they can fall back on one of the other methods. Time to sign off, get some Zombie ZzZzZzZzZz's. I will post again when I get student feedback on some real interest in David-Polynomial Edition children's books, as well as the status of the latest flip-lessons. Thanks so much for sharing! I LOVE No David and Polynomials :) I am so happy to have found your blog! To anyone tempted to comment on my lack-luster math skills on the vertical model, I apologize! Not a good idea to expand binomials on 5.5 hours of sleep, 10 hours of work, and a few adult beverages. I'm too lazy to fix it now. (The -2x10x should be -10x, which then throws off the whole answer). ARGH! Another good lesson to students, that teachers are human beings and we too make mistakes!?!? Wow, I LOVE methods 1 and 2, I had never even heard of them before! I will definitely be teaching all four ways this year. Thanks for the info! Can you explain about the menus? Do you have more examples? You have shared adorable article, I think printable math sheets are very beneficial approach for kids.i think this one of the best platform for learning.We are providing Printable Math Sheets in USA.in which Practice Math Online, Practice Math Online, Online Math Practice, Math Practice Test, Basic Math Practice and many other facilities available free of cost.Thanks for sharing this information.